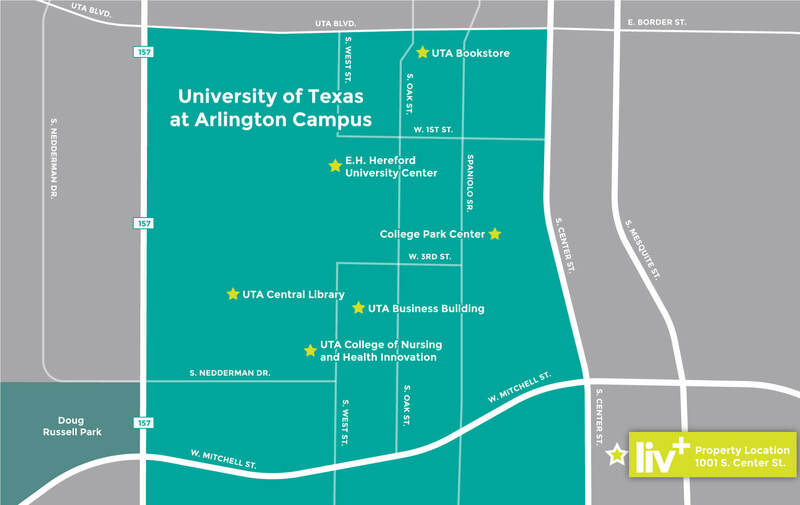 In addition to being located just minutes from the new College Park District, we’re the closest off-site student apartment community at just 0.4 miles from the UTA campus. Need to get downtown? We’re just a short drive away! 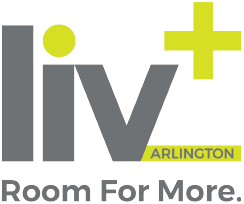 Whether you’re looking to get to class or want to do some shopping and dining with friends, we’re convenient to it all. Coming from out of town? I-30 and I-20 connect us to Dallas and Fort Worth. Exit onto Center Street or take Route 360 to East Mitchell Street.